Microsoft’s default text editor Notepad is not good. Especially for us programmers there is Notepad++. It is the fast pure text editor for programmers. Everytime you need to edit a small script and you don’t want to boot up your big IDE, Notepad++ is the editor to go for. It’s got syntax highlighting for most programming languages. It can handle multiple open files in tabs. Probably you knew this already. But maybe you do not know some of the less known features of Notepad++ which often come in handy for a developer. I’ve associated many file types, including txt, ini, cs, cpp, tcl, bsh and others with Notepad++, so if I double click on such a file, Windows opens it with Notepad++ automatically. You can do this easily in Notepad++ by selecting Settings/Preferences/File Association . Select an entry in the Supported exts column, e.g public script. Select the extension you want to be associated with Notepad++ besides. Also, I have set Notepad++ as the text editor in Double Commander, so I can open any file in Notepad++ by clicking F4 in Double Commander, completely independent of its extension. There are some features in Npp that are meant well, but which need improvement. A function list is a nice thing for a programmer, no question. A slight pity here is, it doesn’t work too well. I’ve tested it with bash, C++, C# and Tcl. It doesn’t work at all with bash, C# and Tcl. It is a good idea to build a diff function into a programmer’s editor of course. But pitily, the compare feature in Notepad++ is not mature at all. Ok, you can do a rudimentary comparison of two files. But that seems to be all. And before you do the comparison, you must make sure that the second of the files to compare is zoomed to the default level. 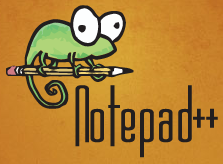 This post refers to Notepad++ version 6.5.5.